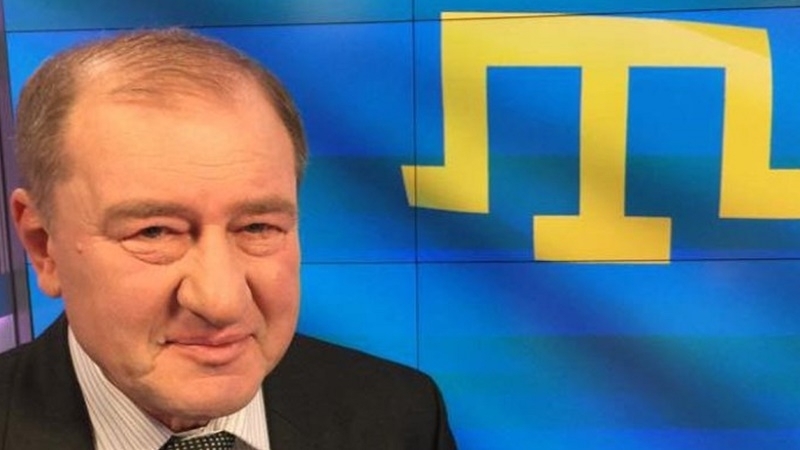 Ilmi Umerov, Deputy Chairman of the Mejlis of the Crimean Tatar people, who was released in the occupied Crimea a week ago along with Akhtem Chiygoz, told the TV channel Gromadske telebachennya about his plans for the future and about things that give him strength to struggle. Answering the question if anything came as a pleasant surprise over the three years of the annexation of the Crimea, Ilmi Umerov replied: "People". "... I was pleasantly surprised that people who have already adapted to the occupation do not lose hope, stay true to their convictions, do not swear the de facto Russian power in the Crimea. Just an example: One person, Server Karametov, went on a single picket, got 10 days of administrative arrest and 10,000 rubles fine. 8 more people came out next. Eight were fined - hundreds came out! These were simply put on the record. But if they were punished as well, I am sure - a thousand would come out," the Deputy Head of the Mejlis stated. Umerov also told that one of the most horrible memories for the period of persecution was his sending to the so-called compulsory psychiatric examination. According to Umerov, he was able to get through this due to "tremendous support, from a lot of people, from the Senate and the US State Department to international organizations, country leaders, and human rights activists". “First they told me that I would stay there in closed mode, but later, even 30-50 people were allowed to me at a time. Also, my daughter and wife came, as well as the lawyers. And it really helped,” Umerov said. Commenting on the possibility to release other political prisoners through international pressure, and to de-occupy Crimea in the future, the Deputy Head of the Mejlis said that he "does not see other options." “The only option is the international pressure on the Russian Federation, the strengthening of economic sanctions. Russia must voluntary abandon its intentions, not to make the cost of returning the Crimea too high," he added. Ilmi Umerov considers the adoption of a law on the status of the Crimean Tatar people as a priority in Ukraine. “Even without waiting for de-occupation, we need to take several decisions at the Verkhovna Rada level. One of them is the law on the status of the Crimean Tatar people, which was failed to adopt in 23 years of independence,” he said. Speaking about his plans for the future, the Deputy Head of the Mejlis confirmed his intention to return to the Crimea. “No one put any conditions for me – whether to return or not. And if not, why then. I have already made several statements on the matter and I will say this once again: I want to return to Crimea," Ilmi Umerov concluded. Reference: Ilmi Umerov was sentenced to 2 years of colony-settlement on charges of alleged public appeals to violate the territorial integrity of Russia. Release of Umerov, Chiygoz and other Crimean Tatar politicians and public activists was repeatedly demanded by Ukrainian, international and Russian human rights organizations. October 25, Deputy Chairmen of the Mejlis of the Crimean Tatar people Akhtem Chiygoz and Ilmi Umerov, convicted in the occupied Crimea, were extradited to Turkey. On October 27 Umerov and Chiyhoz arrived in Ukraine. On the same day, the President of Ukraine Petro Poroshenko awarded Umerov and Chiygoz with Orders of Merit. QHA reported that on October 25 the Deputy Chairman of the Mejlis of the Crimean Tatar people Ilmi Umerov announced his strong intention to return to the Crimea.